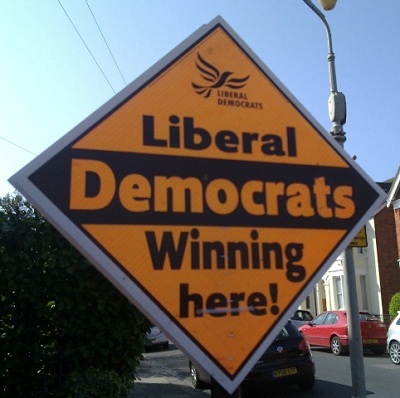 politicalbetting.com » Blog Archive » Why are the Lib Dems partying like it’s 1993? Why are the Lib Dems partying like it’s 1993? They have learned nothing and forgotten nothing. So Talleyrand said of the Bourbons and so much the same might be said of the Lib Dems today. If there’s one thing that we should take from the Witney by-election campaigns, it was the extent to which 2010-15 are now for the Lib Dems non-years. With the disagreeable business of actually holding power and being able to do something with it now behind them, the Lib Dems are now clearly back to what they enjoy most: fighting by-elections. It’s something they believe they’re good at and going by local results this year, they have a point, with far more gains than anyone else and with Con and Lab both in reverse – though it should be noted that their results at the May elections were a good deal worse, recouping fewer than one in seven of the seats they lost in the same election round in 2012. On the other hand, it’s now more than a decade since the Lib Dems last gained a seat at a Westminster by-election, and more than 16 years since they gained one from the Conservatives. Despite some overly optimistic assertions before the event, they never came close in Witney. Nor was it ever likely they would. They’d have needed one of the biggest swings in history and to have come from fourth which would have been an almost unprecedented achievement. Perhaps, were the Conservatives unpopular, it might just have been on. Against a party polling in the mid-40s nationally, and with the Lib Dems starting fourth locally – more than 55% behind the Tories – it never was, no matter how intensively Farron’s followers campaigned and the apparently large number of bets staked to that end. That shouldn’t diminish what was in many ways a good result. To climb back to second and to gain a near-20% swing were undoubtedly impressive achievements, if well short of those needed to win. Indeed, Labour ought to be asking themselves questions about how they let their challenger position slip, having finished second in Witney not only last time but in four of the last six general elections. But in remembering all the techniques from the glory days of the 1980s and 1990s – the bar-charts, the two-horse races, the tactical ‘lent’ votes, and so on – they have failed to learn anything from their time in power about a wider truth: that elections are means to an end; to the exercise of power, not an end in themselves. Perhaps this is one reason why the larger parties struggle to be as motivated as the Lib Dems for by-elections: by-elections simply provide neither the consequence nor the sport for them that they do for the Yellow Team. Because while the tactical game is all very well in one-off elections, it’s only possible to maintain at general elections while two conditions are met: firstly, fights need to be kept local as much as possible, so that they can appeal to Tories in one place to keep Labour out, to Labour supporters elsewhere to keep the Tories out, and to both in others to keep the SNP out. And secondly, the party needs to be transfer-friendly at a national level. As soon as a party whose election machine is built on tactical voting comes into contact with the responsibility and accountability of power, both conditions break down and you end up going from holding fifty-odd seats to eight. So much there for tactical votes, personal votes or a superior ground game. And eventually, a centrist party with a reasonable number of seats will be faced with a situation where they cannot avoid choosing which of two larger parties will form a government (or whether to force fresh elections). Yet Farron seems to have learned nothing from that devastating lesson. Perhaps the experience is still too raw or perhaps Farron, who never went near power himself during the Coalition, understands it only in the negative and isn’t yet willing to act on its implications. Once again, the short-term highs of by-election success (or, as in Witney, commendable advance), is allowed to trump longer-term positioning or the Lib Dems’ ability to influence policy. Those who fail to learn from history will be condemned to repeat it. Talleyrand was on hand to see the natural consequences of his observation for the House of Bourbon as they were ejected from power a second time in 1830. Unless Farron can move his party on from trying to endlessly relive Newbury and Christchurch and instead build up a support base formed on positive support for the Lib Dems’ policies and values, they too will set themselves on the road of an inevitable future downfall.